This is a very nice dealership. They have highly trained mechanics and a nice waiting area with free coffee. Excellent customer service, decent food and drink bar. Free transportation to/from the dealership. Rabar always tries his hardest to be a champion for the buyer. I’ve purchased many cars from him over the years. I recommend asking for Rabar to help out with any car purchase at the dealership group. Lea was may sales person and she was very helpful and knowledgeable. She took a lot of time looking and finding just the right vehicle for me. The manager, Thomas, also took time to help and also very courteous.It was a pleasure to work with Michael on the Finance end. My wife and I have had very good experiences in car buying with Heartland Toyota. The staff was very courteous and friendly in dealings with them. We have never been made to feel like we were being sold something for the sake of business but rather being assisted in making an important purchasing decision for our family. From Chris, the sales rep that walked us through our automotive options, to John disclosed the pros and cons of our financing options, we believe that we have been given excellent customer service. 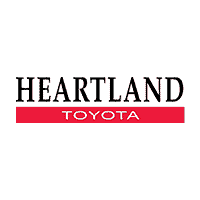 I would strongly recommend the quality of the staff and the car-buying experience at Heartland Toyota. The salesperson who helped me, Niko, was very helpful and (also) a big Subaru fan! I bought used and would gladly do business with a company that maintains such a stand-up sales staff.